“We failed. It’s a possibility [it’s my last #UCL], so it’s tough to take. 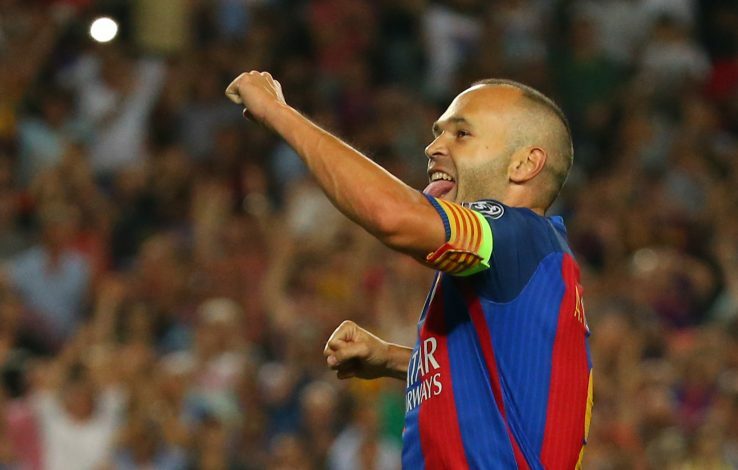 But it’s tough to take for everyone,” were Andres Iniesta’s words after the conclusion of the second leg of Champions League quarter-finals. AS Roma have undeniably stunned the football fanatics, seizing a victory against Barcelona by exposing to the view a memorable comeback. They scored three goals in the second leg, with the travelling side leaving the stadium goalless. Nonetheless, the Serie A side has knocked out the Spanish giants, delivering quite a blow to Ernesto Valverde, as they progress further into the semi-finals. One of the striking moments in the match, although not directly involved with it, was Iniesta helplessly watching his team being fragmented from the bench. The midfielder was seen completely emotional as the game bordered closer to its conclusion. The upset playmaker attracted quite a lot of attention on social media, and the supporters have been jamming Twitter with reactions. Most of the fans were troubled over the instrumental figure’s claim that there’s a possibility that this match would indeed be his final Champions League game. Regardless of this setback, the Camp Nou outfit still remains dominant in La Liga, yet to lose, as they are currently on a fabulous unbeaten run.